IMPORTANT! 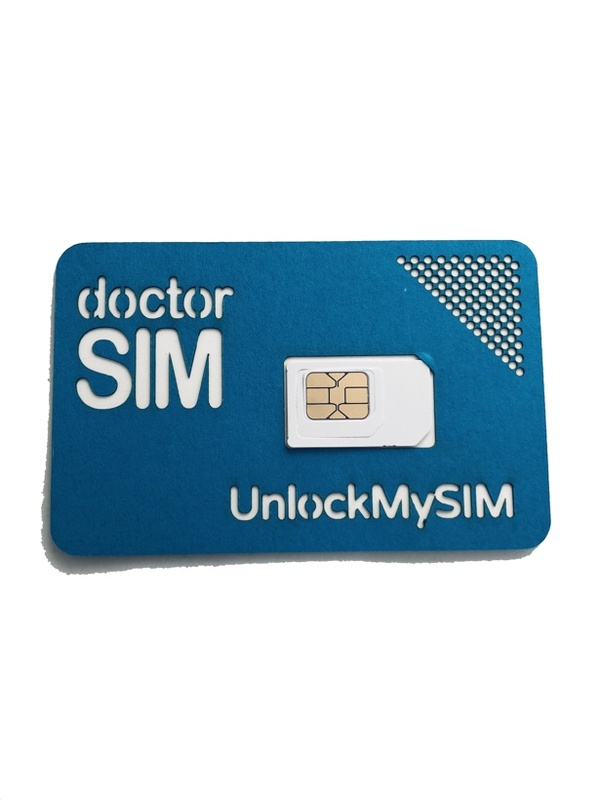 It is no longer possible to purchase the UnlockMySIM Card as it may not work at the current time due to an internal update beyond doctorSIM’s control. You can unlock your iPhone using our UnlockMySIM Sticker. Please click here to place your order. – Europe: 1/2 business days. – United States: 2/7 business days. – Latin America: 2/5 business days. – Rest of the world: 2/5 business days. Heads Up! Bear in mind the following: You should only purchase the UnlockMYSIM Card if you cannot successfully unlock your iPhone via IMEI. You can check availaibility first here. Contrary to IMEI unlocking, which unlocks a phone at server level permanently, UnlockMySIM’s SIM card technology provides an alternative unlocking mechanism when remote IMEI unlocking is not possible. What are UnlockMySIM’s main features? – Compatible with all iPhones! – Standard SIM, Micro SIM and Nano SIM Compatible! – No installation or complex procedures. – Permanent unlocking and future-proof upgrade procedure. Simply follow the initial instructions if you decide to upgrade or restore your phone. Yes! Once you follow the unlocking instructions with the included SIM card, you will be able to remove the UMS and use your intended SIM card. If you need to upgrade or restore your phone in the future, simply follow the instructions again to reapply the unlocking. IMPORTANT: Only Valid for non-blacklisted, non-icloud locked phones. In case of blacklisted phones, you can probably use your iPhone with the UnlockMySIM Card in a country different to that of the original operator without any problems. However, we cannot guarantee it will work or the connectivity won’t be lost in the future due to being blacklisted. Your phone will work on any GSM network. Some phones are not compatible with CDMA networks such as some of Verizon’s or Sprint’s networks. 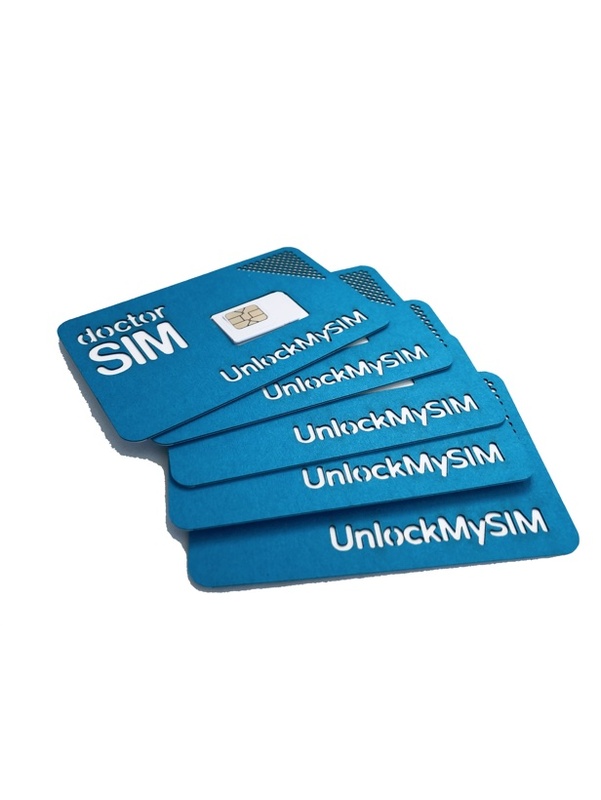 How does the UnlockMySIM sticker differ from other similar products such as the Gevey SIM, X-SIM, R-SIM or Turbo SIM? 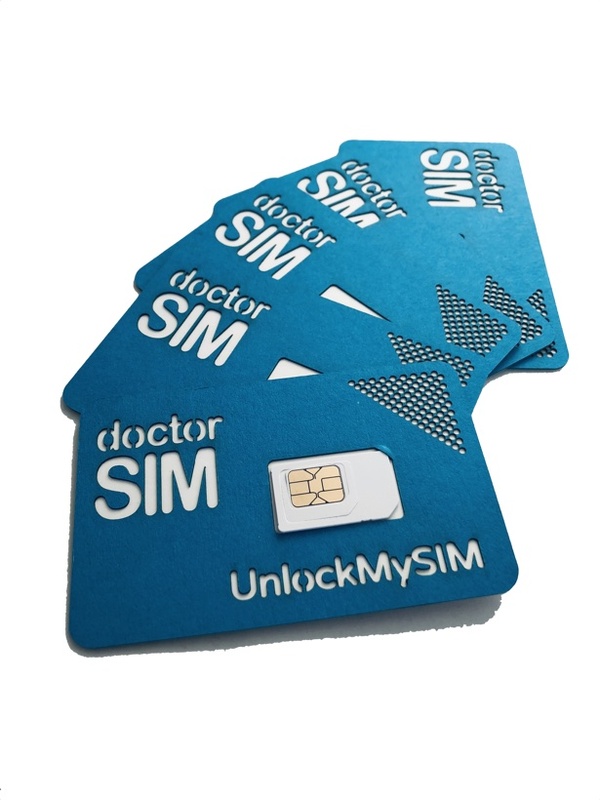 doctorSIM’s UnlockMySIM (UMS) may have the same shape and size as the Gevey SIM, X-SIM, R-SIM and Turbo SIM and perform the same function, however, that is where the similarities end. Due to our quality assurance and testing, we have the highest success rates on the market for this type of solution. Each and every UMS is personally examined and configured for immediate use before shipping by a member of our quality control team. doctorSIM guarantees UMS will work with all iPhone models. Our customer support team is also available 7 days a week if you ever need assistance or instructions on how to reconfigure the card. No other unlocking company or online business provides their customers with such comprehensive pre- and post sales support. What warranty is offered with the UMS? – A replacement for a defective card as long as it is not due to misuse or normal wear-and-tear. We will require video proof of the malfunction during the first six months or that you return the product to us after the sixth month but not exceeding a year after the card was received. – A full refund for the amount paid once the product has been returned to doctorSIM and we have been able to verify that the malfunction is not due to misuse or poor handling. – A refund for any reason as long as the card is returned to doctorSIM. In these cases, we will refund the amount paid for the product but not the shipping costs. We’re just a click away to help out with configuration issue or any additional questions! Please check out our UMS support forum for details.